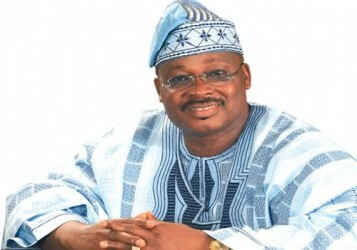 IBADAN – INCUMBENT Governor of Oyo State and Oyo South Senatorial District candidate of the All Progressives Congress (APC) Abiola Ajimobi has lost his bid to return to the senate after his exit as governor. In the results of the National Assembly elections for the Senatorial seat as announced by INEC Returning Officer, Prof. Wole Akinsola, the Peoples Democratic Party (PDP) candidate, Dr Kola Balogun won with an overall total votes of 105,720, while Ajimobi polled 92,218 votes. The African Democratic Congress(ADC) candidate currently the Senator representing the district, Senator Adesoji Akanbi scored total votes of 49,437. Oyo South Senatorial District, comprises Ibarapa East, Ibarapa North, Ibarapa Central, Ido, Ibadan North West, Ibadan North East, Ibadan North, Ibadan South West and Ibadan South East.